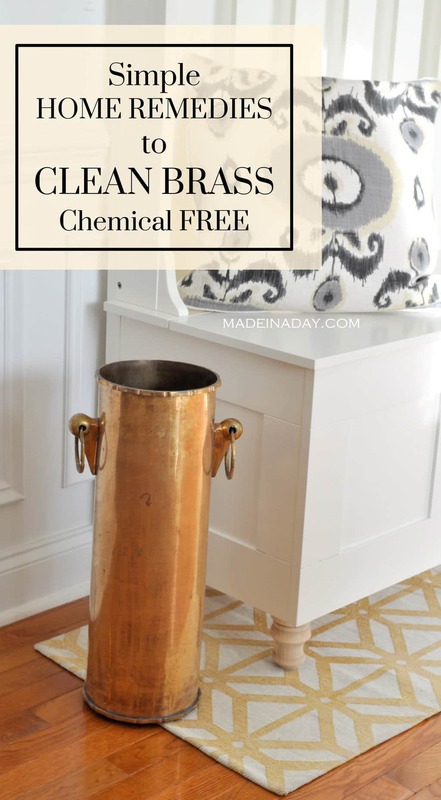 Want to update your furniture without buying new? Add some height for elegance! 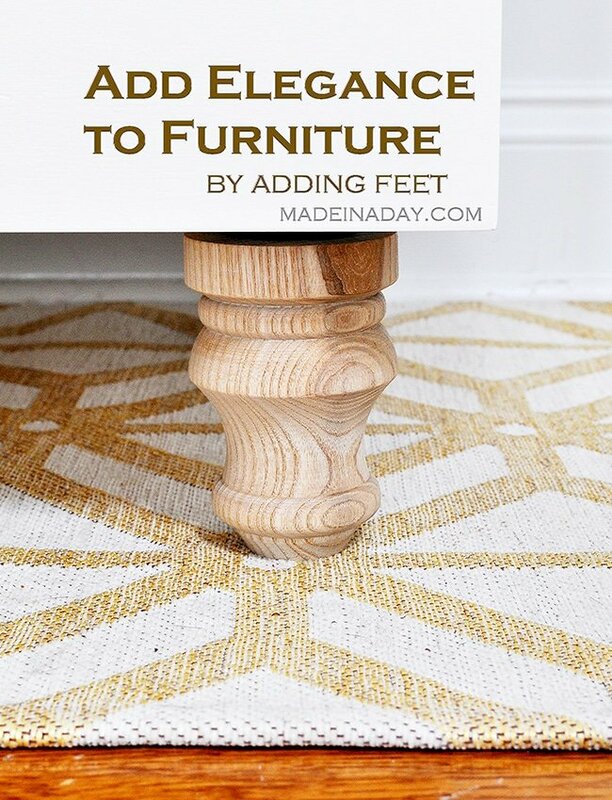 How to Add Feet Legs to Furniture. See more of my home decor on my gallery page. 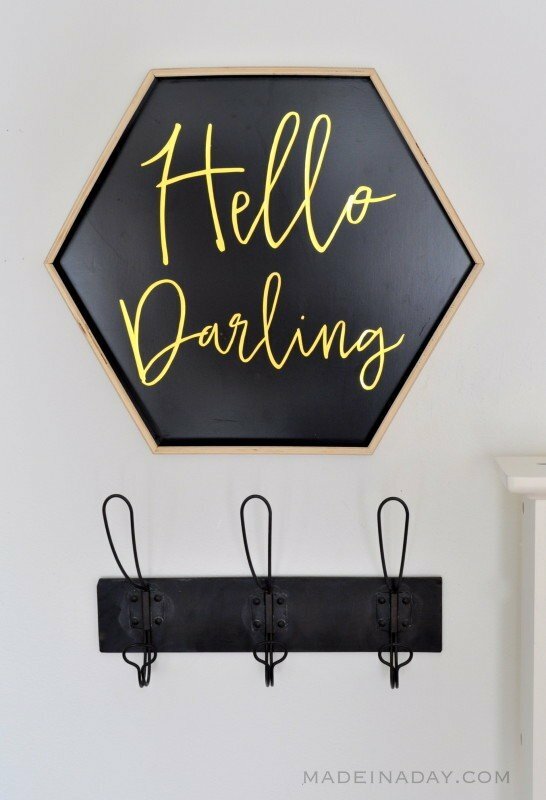 In my previous Entryway Makeover Mudroom Style post, I turned a corner in my dining room into a faux mudroom with a beautiful hall tree. This post is how I added height to the great piece. When I put that hall tree together it sat flat on the ground. I felt that since it was going to be in a formal dining room that it needed a fancy flair to it. Thant’s when I decided to add feet to the hall tree. Now, normally you could just buy furniture feet and bases. 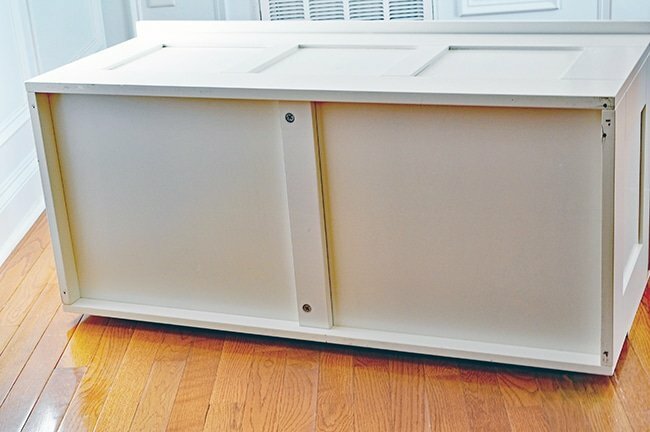 Screw the base plates onto the edges of the furniture and screw the feet on. Super easy and fast. 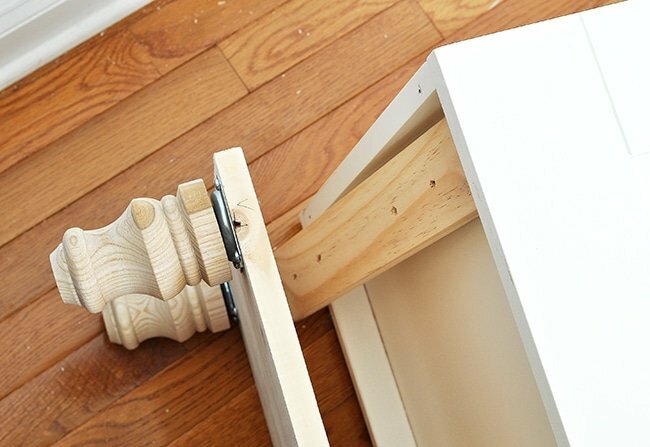 Well not in this case, let me show you what to do if you have thin edges on the bottom of your furniture, you just need to add one more step. The bottom of the hall tree had edges that were pressboard and the bottom base was not all the way flat to the bottom near the floor. 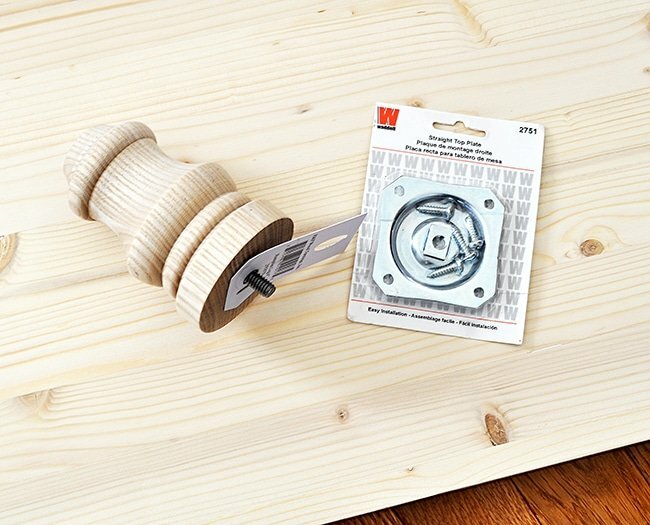 This made the foot plates, not at all sturdy and very flimsy when I tried to attach them, and when I started to screw them into the thin edges the wood began to split. So now for Plan B! I had to make a new base for the furniture. I measured the thickness and length of inside base of the hall tree and headed over to Lowe’s to find a pre-cut board that would closely fit the dimensions. They had tons of pre-cut lumber to choose from and I found one almost exactly the same dimensions as the hall tree. I had a salesman cut the board and couple of thin brace pieces to fit exactly to the base and I picked up some bolts and washers to stabilize the new base. Here’s how I did it! Carefully place your furniture on its side. 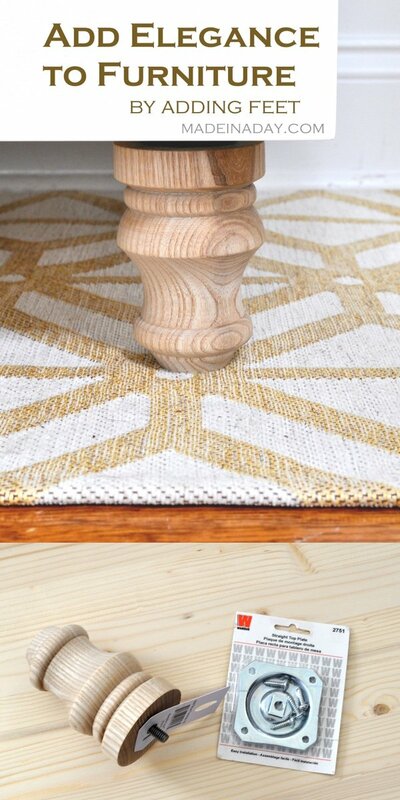 Make sure the new board base fits snugly inside the furniture base. 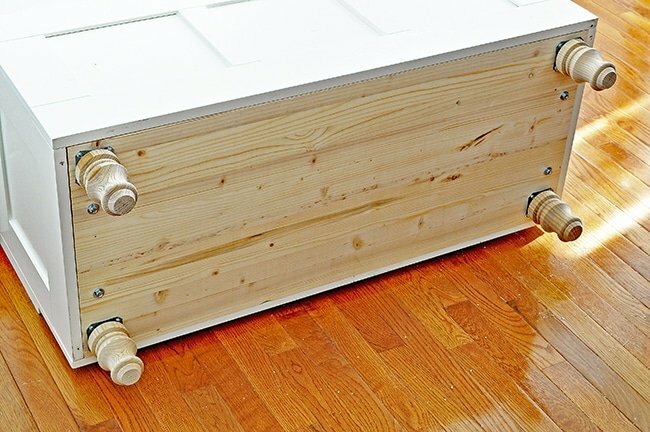 I also added two brace boards to each side of the hall tree, like the one shown in the center of the above pic so my base would be stable. Remove the board and mark areas to add plates for feet. Add the foot plates to the corners of the board base. 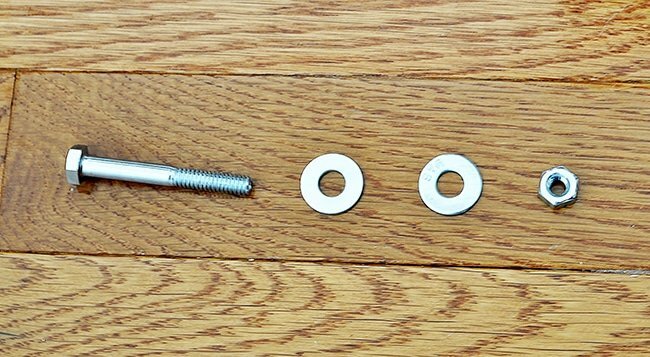 Screw on the new furniture feet. Mark and drill holes on the base and brace pieces of wood for the bolts. 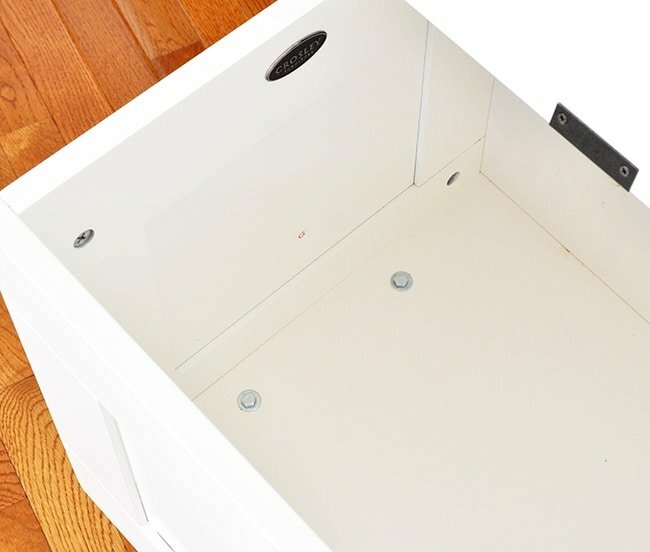 Replace board back on furniture and mark for bolt holes on the furniture. 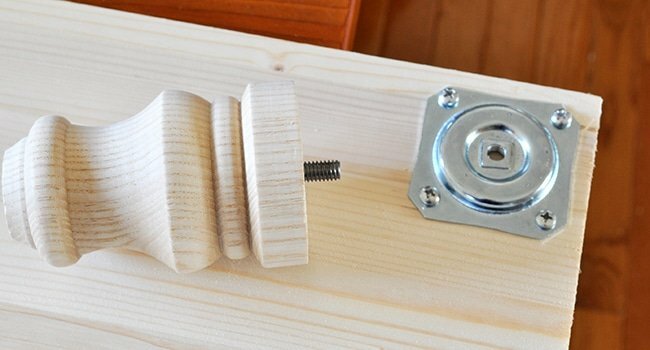 Drill holes for bolts on furniture and board. 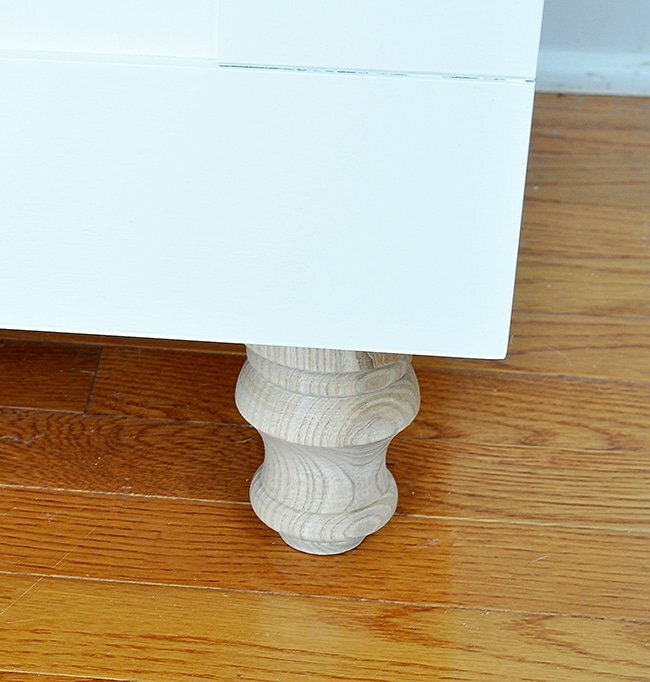 Paint your legs if you desire and replace board base to bottom of the furniture. Add the bolts and tighten. Bolts inside the hall tree. Stand the furniture up on legs, and enjoy! I can’t even express how much I love this hall tree. Long Story short: I have always wanted a mud room and I do have room for one. We got a new puppy and now the area has a large dog kennel in it. 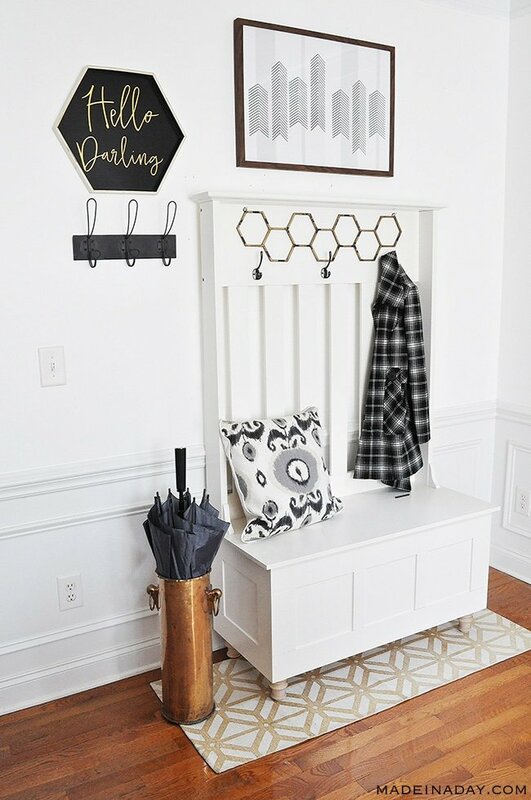 So I made a mudroom out of an empty corner of my dining room! 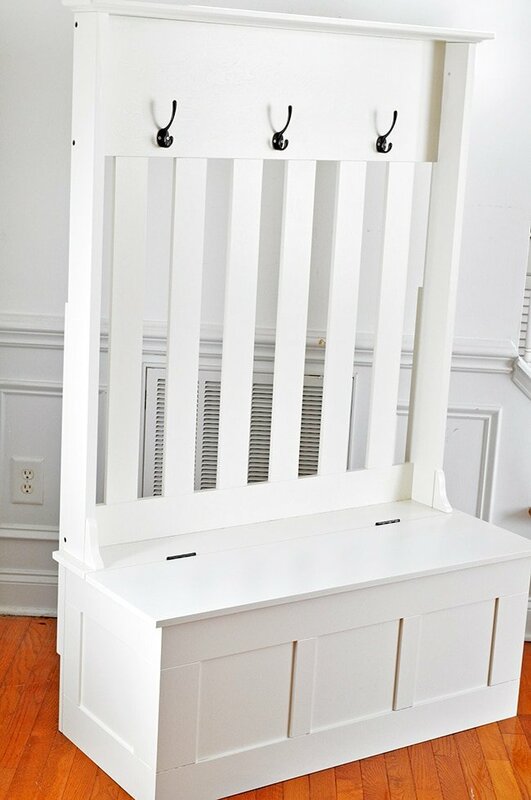 Now when you walk in my front door you see this super fun piece of furniture instead of a pile of shoes. 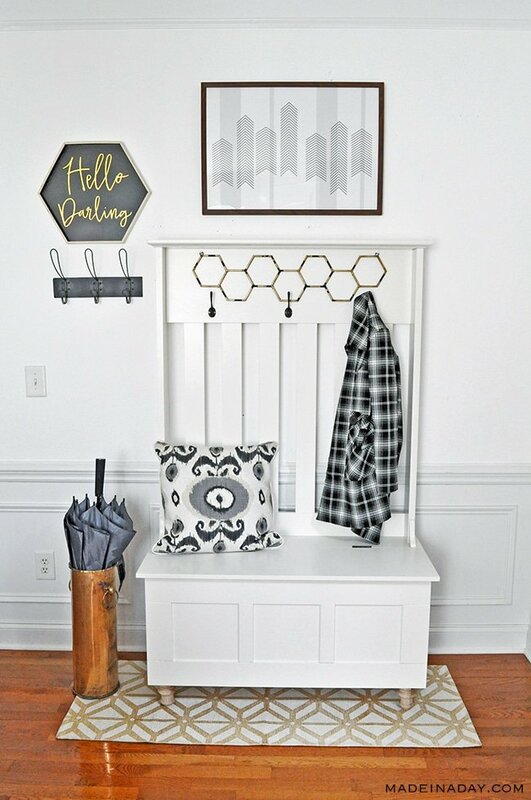 See my Entryway Makeover Mudroom Style for a more detailed makeover. Did you like this post? I’d love it if you would share it! Good afternoon! Do you have a link available for the Hamilton legs? An internet search doesn’t bring up much in the way of results for that specific query. Hi Becky, I got the legs at Lowe’s Hardware. Try their website or you may have to visit the store, if the online search doesn’t show them. I hope this helps! Kim, this is such a smart idea! I like having my furniture sit up off the ground (right now I’m staring at a low bookshelf across the room that could use some fancy feet to prop it up!). Thanks for sharing how you added the brace boards! Thanks Shirley and yes I love that I can clean under it and the edges wont be all scratched up!